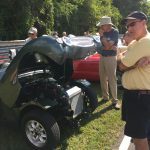 We had a nice line-up of Bugeyes in our class at this labor day annual event. 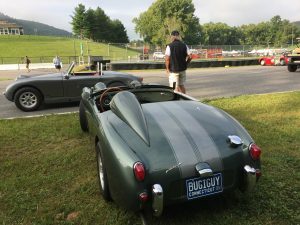 Three Bugeyes in one concours class was a major victory for the marque, it was great to see such a strong Bugeye presence. 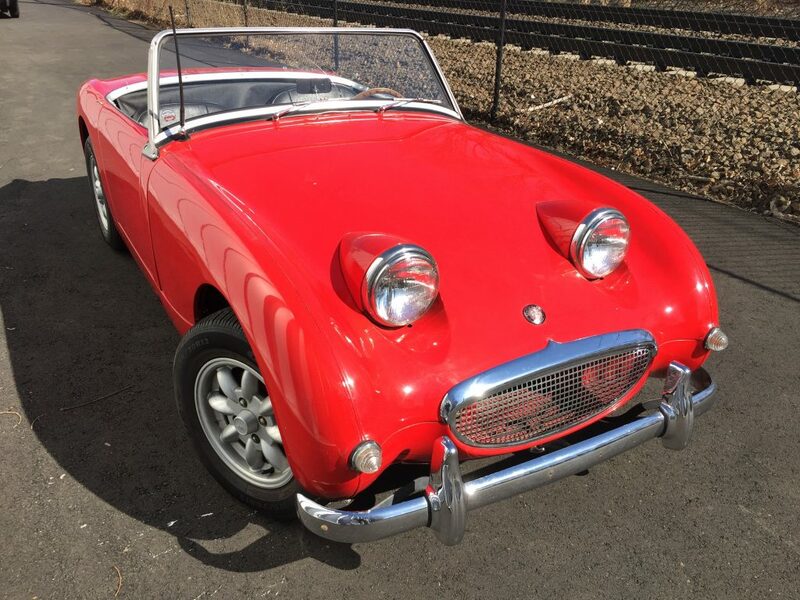 Judging from the response by the spectators, Bugeyes are more popular than ever. 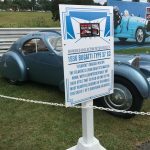 It was a particular honor for us to have two of our cars in the same Concours (a first). 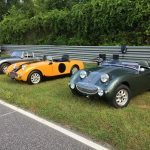 The third (silver) Bugeye was one I had not seen before, from North Carolina. 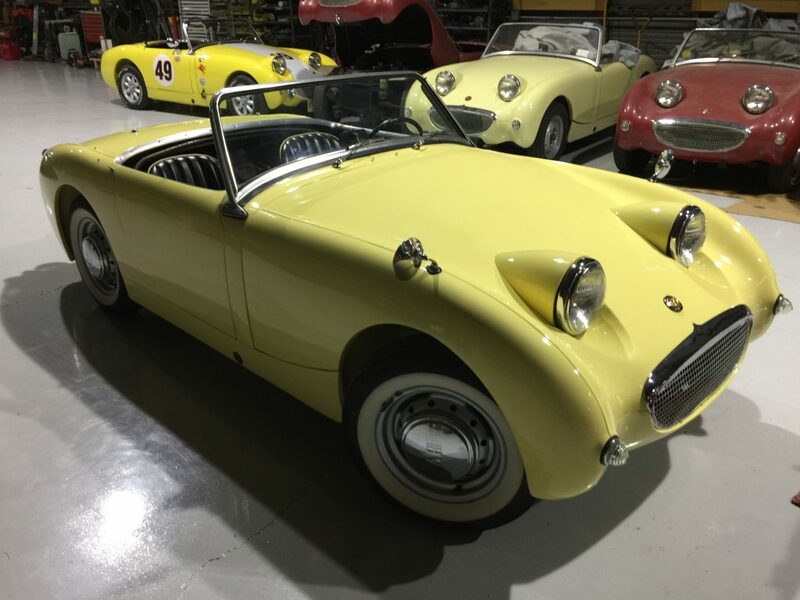 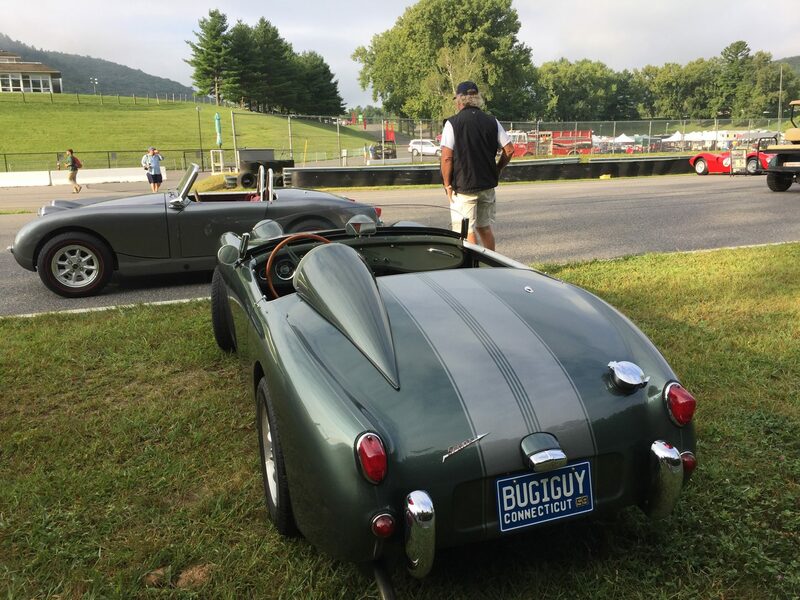 It’s difficult for a Bugeye to be acknowledged by judges in a mixed-make concours. 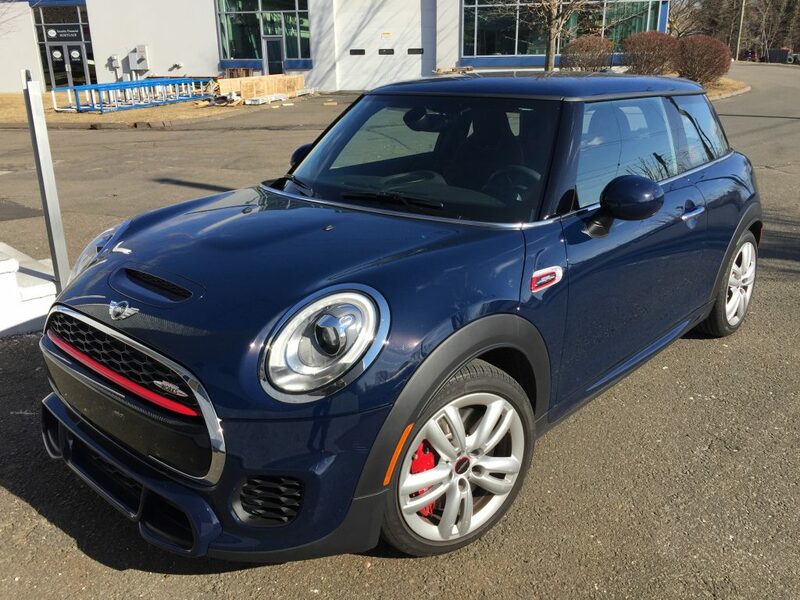 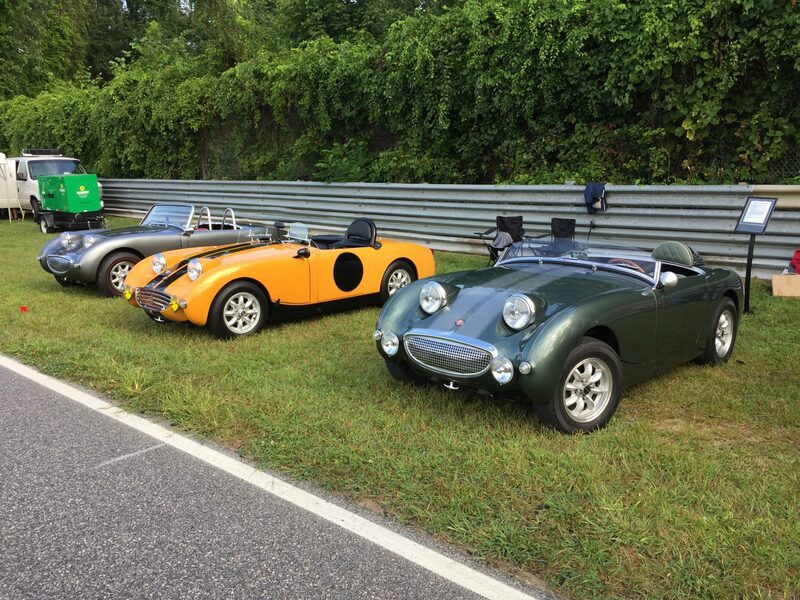 Up against the most beautiful (and expensive) sports cars of the period, we don’t stand a chance. 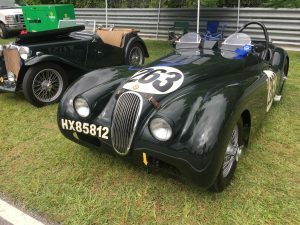 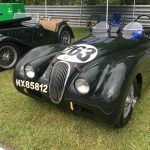 So in our class (C2), trophies went to a racing xk120M, twin cam MGA with racing heritage and a beautifully restored xk150S. 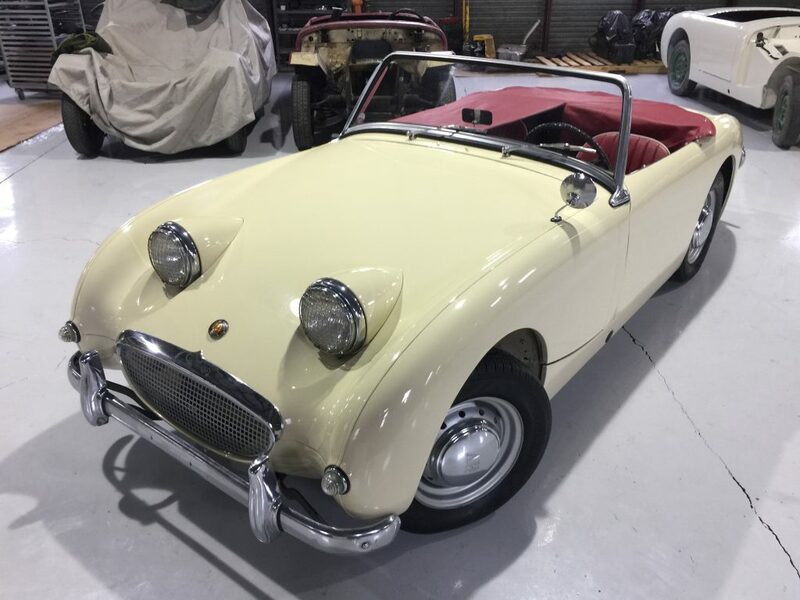 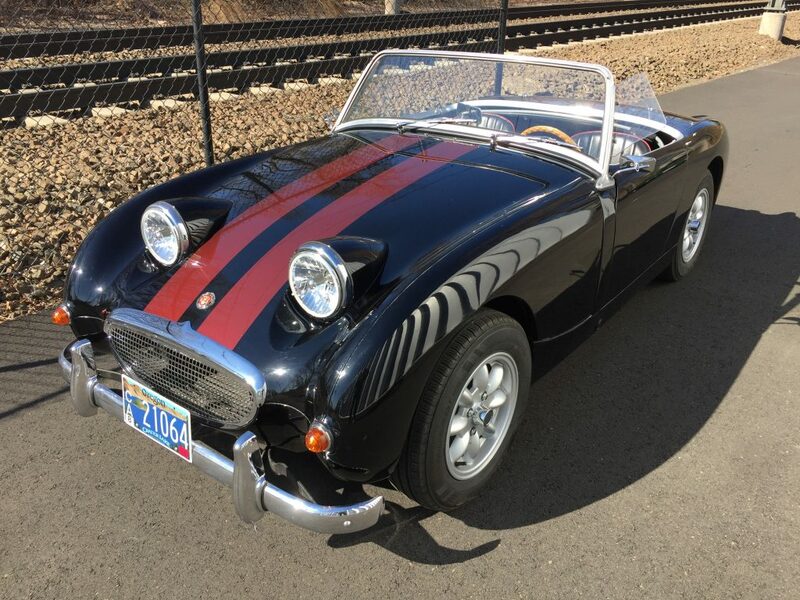 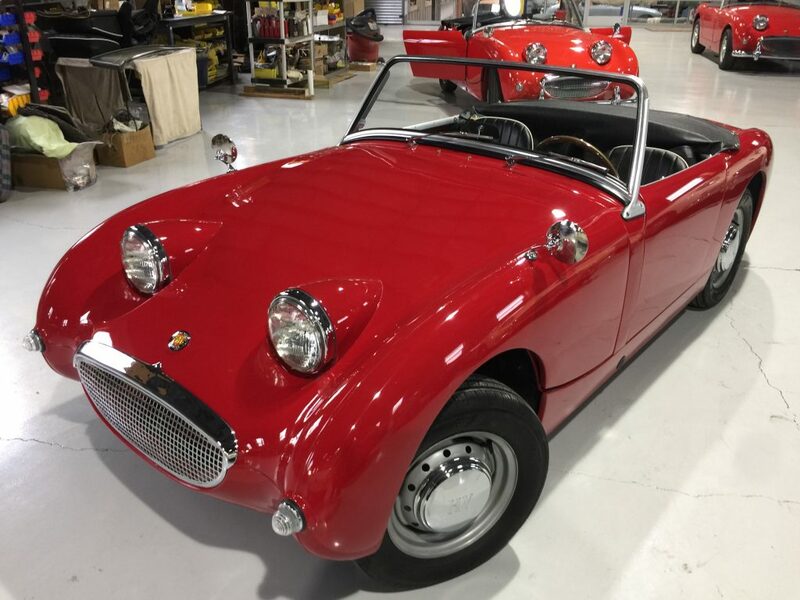 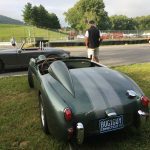 That’s fine, if I owned a perfectly restored 150S and a Bugeye took my trophy, I would not want to be the judge who had to defend that choice. 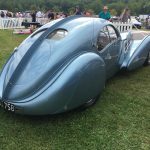 This is always an impressive show and for 2018, the Bugatti owners were there in force. 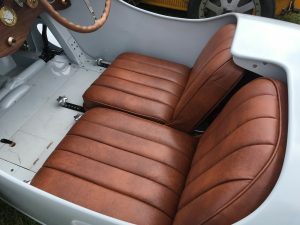 I was most impressed with the interiors of the many Bugattis on the track. 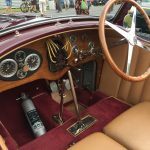 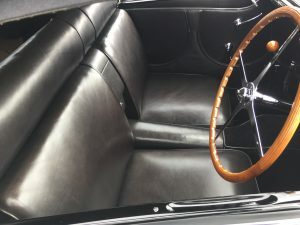 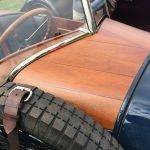 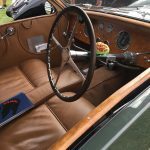 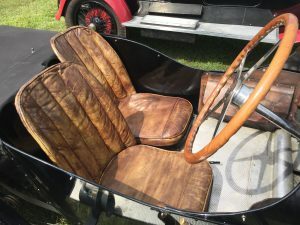 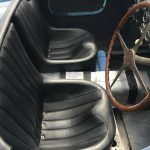 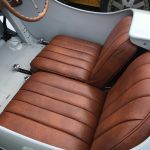 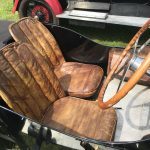 The leather work was exceptional, most of it with a stunning patina, which is understandable when you consider the conditions each cars sees courtesy of the adventurous pilots. 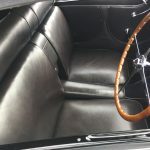 Peppered throughout this post are some pictures of my favorite seats. 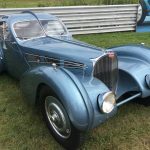 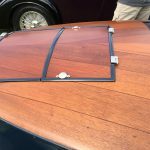 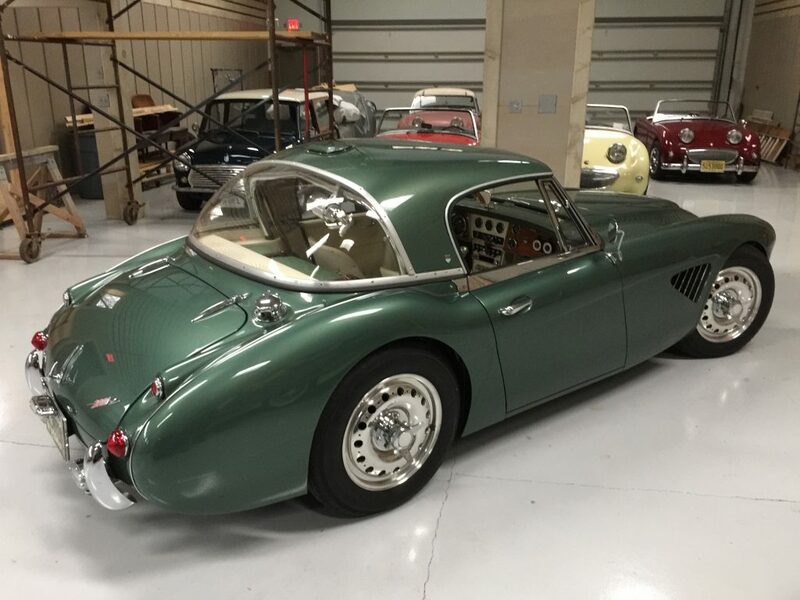 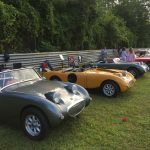 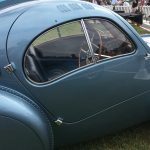 They are an intrepid bunch–I met one fellow from Belfast who brought his 30s era Bugatti from Ireland to England where it was shipped in a container to New Jersey so he could drive it to Lime Rock and other New England events this month.